Donabe means clay pot in Japanese. A donabe is one of Japan's oldest cooking vessels. It is often used for cooking various nabe (hot pot dishes). Originating in Japan's Iga province, the earthenware pots are made out of clay with properties ideal for operating at high temperatures, including in kilns and during high-heat cooking. They are heat-safe over an open flame or in an oven. This kind of clay from Iga is super porous, which means it builds heat slowly (and, similar to a slow-cooker, may take a longer time to initially heat up) but it keeps heat effectively once it's at peak temperature. The donabe is usually glazed on the inside and porous on the outside. Every Japanese household has at least one donabe in its kitchen, and it's an important part of group meals, since a portable burner turns it into an instant hot pot. Using a donabe results in a one-pot meal. For busy Japanese people, it's an easy way to cook complete, nutritious meals quickly. If you're by yourself, you use whatever stock you want, then look in the fridge and find cabbage, enoki mushrooms, tofu, or chicken pieces, and then throw them together and serve them right out of the donabe at the table. To keep a donabe in good condition for a long time, please follow the care instructions come with your donabe. If there aren't any instructions come with it, below are some basic tips to follow. Before using a newly-bought donabe, fill the pot with water about three-quarters full and add about a cup of leftover steamed rice or about 1/4 cup of rice. Then, simmer rice porridge on low heat for about 30 to 60 minutes. Stop the heat and let it cool. Discard the rice and rinse the donabe. Dry it with a clean cloth and air dry well before storing. Whenever you use a donabe, please make sure the bottom surface is dry. It's important not to put on high heat at first. It's best to start with low heat. Once it's boiling, reduce the heat to medium or low to maintain the cooking temperature. After using a donabe, let it cool before washing. Please do not soak it in water when it's hot. When it has cooled down, gently wash it with water. Wipe the donabe dry with a clean, dry cloth. Remember, a donabe is not dishwasher-safe. You have to hand-wash it. Don't soak the donabe for a long time in soap, scrub it too harshly, or use a rough sponge. That kind of treatment could damage the clay. After washing, flip it upside down to let it dry overnight because the clay is porous and absorbs a lot of moisture, so you want to dry it out completely. Do not heat it while empty. Always make sure you have a light drizzle of liquid inside, whether that's a touch of oil for sautéing, a soup ingredient, or stock. 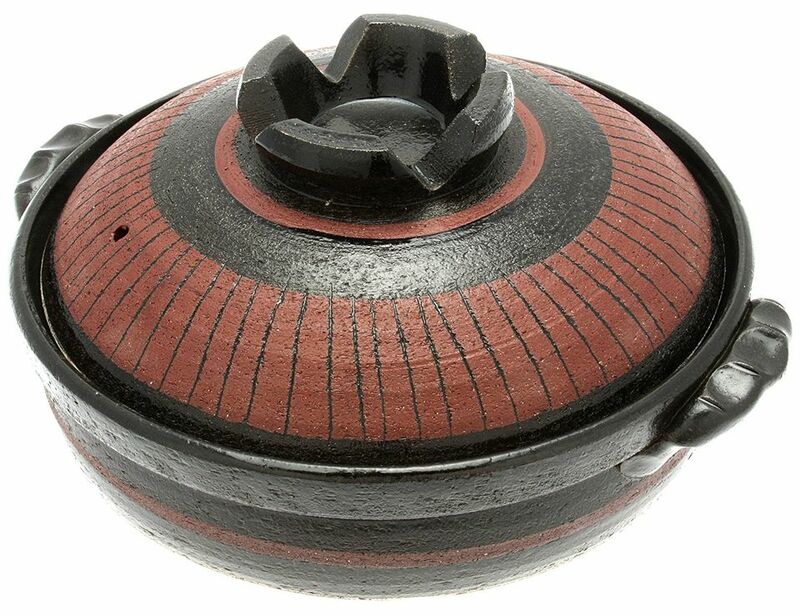 Hairline cracks in a donabe are normal. When you see cracks, it's time to re-season the pot. Rice will work best since the starch will fill the pores. If the donabe leaks water, it's time for a new one.